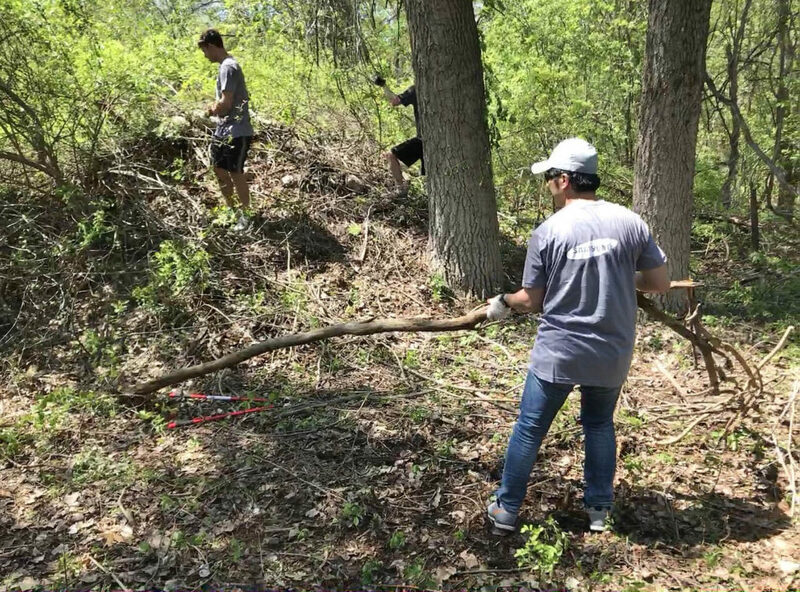 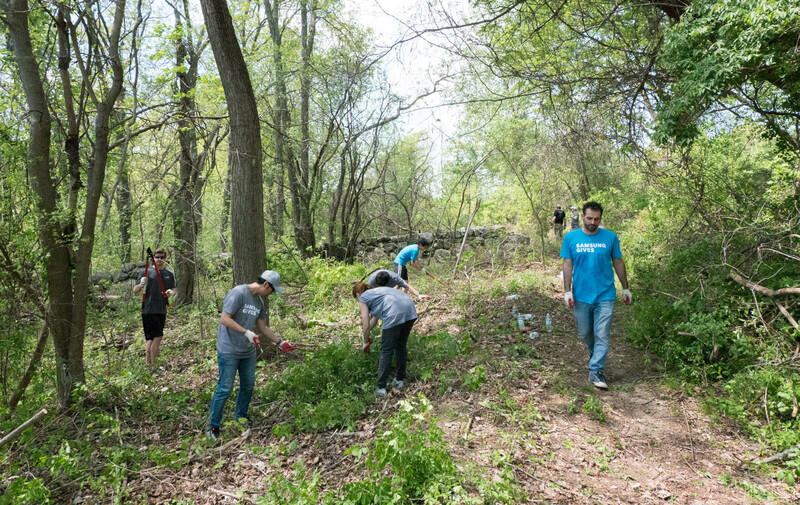 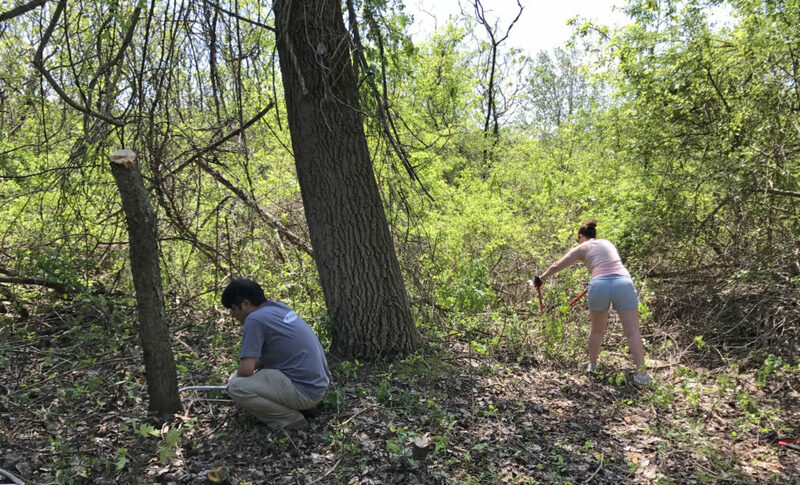 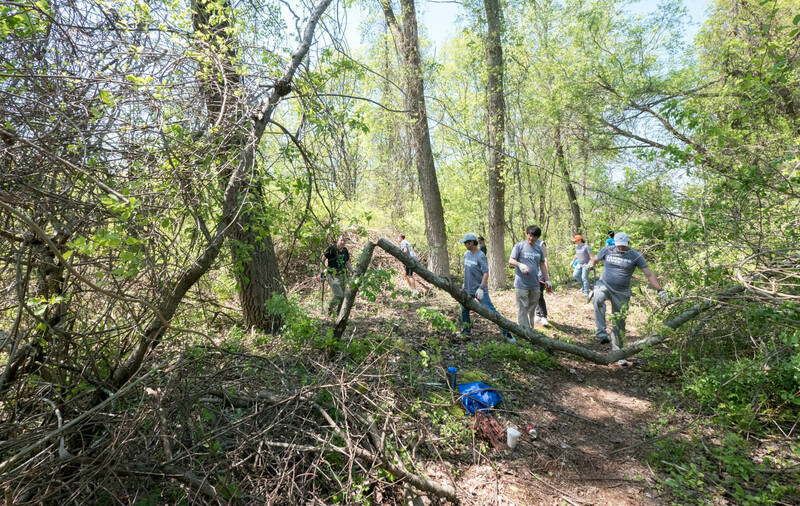 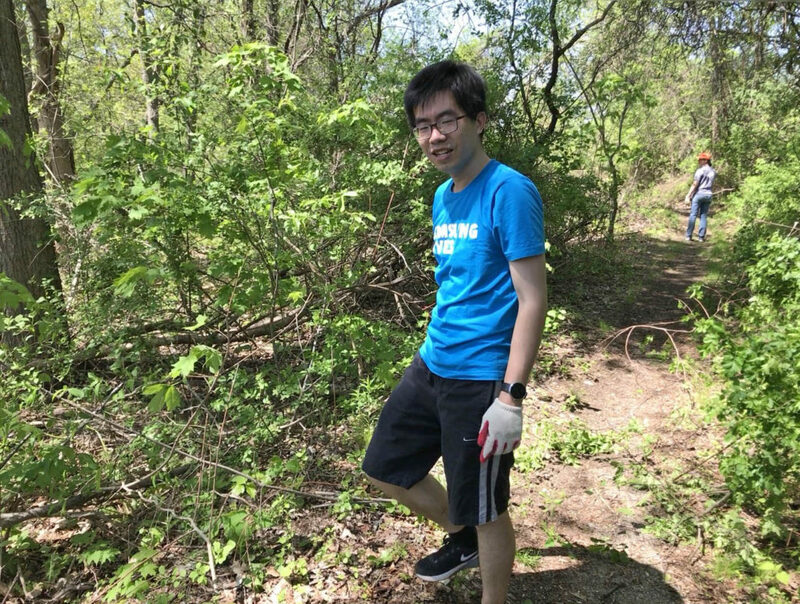 Watch the volunteers from Samsung in Burlington clear a mass of invasive vines from a group of hardwoods trees. 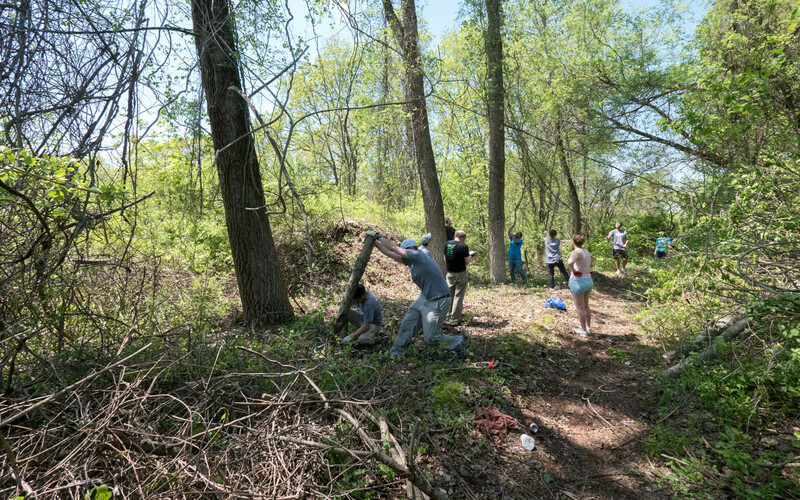 Below the video find a gallery of images. 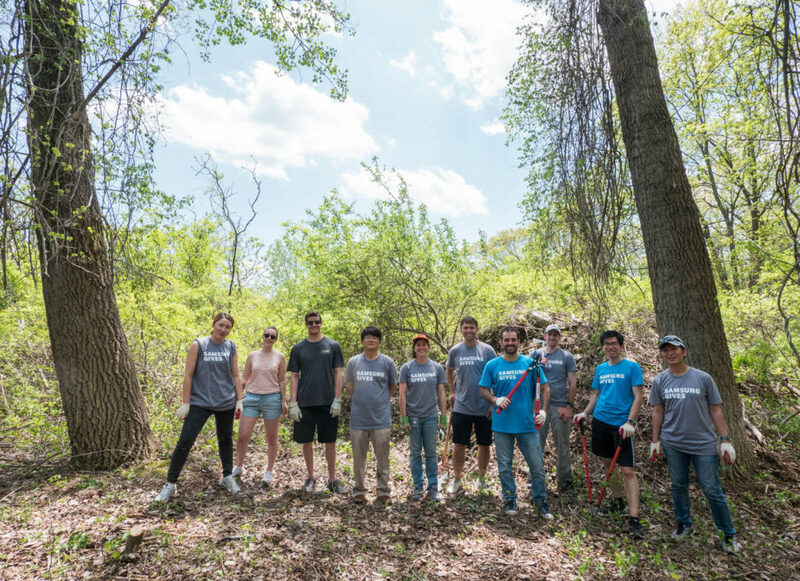 Huge thanks to the gallant Samsung crew.